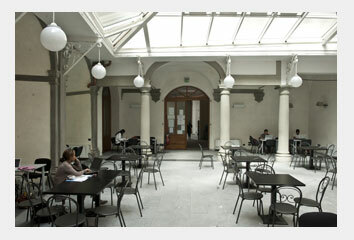 The library at LdM Florence enables students to complete their coursework at LdM successfully. Containing over 7,000 volumes, its ever-growing collection has been built to cater directly to the needs of students and the subjects they study at LdM. Other, smaller collections of books in the fields of design are located in the buildings where the corresponding subjects are taught. As is very common in Italy, the LdM library is not an open access library: users cannot browse the stacks; instead the librarian will fetch the books requested. 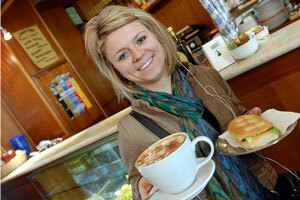 The library also purchases American and Italian newspapers on a daily basis. 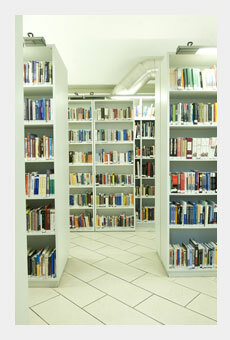 Click here to learn more about LdM Florence Library. The Student Point and Computer Lab is located at via del Giglio, 4 and is open from 8:45 a.m. to 9:30 p.m., Monday through Thursday; and 8:45 a.m. to 8:00 p.m. on Fridays. During summertime and the January Intersession the open hours are 8:45 a.m. – 9:00 p.m. Monday through Thursday and 8:45 a.m. – 8:00 p.m. on Fridays. Students will be informed about special opening hours during the exam weeks. Please note that opening hours are reduced during the month of August. Wireless connectivity for personal laptops is available in this building and in all of LdM’s premises in Florence during normal opening hours. Password access to the wireless system will be given to students at the relevant front desks. Besides wireless connectivity, the Student Point also gives students access to 30 computer terminals. LdM has Student Mail Service to facilitate students’ mail and packages sent from family and friends back home. It is easier and more reliable to have mail sent to the Student Mail Office than to an apartment in Italy. It is students’ responsibility to check with the Student Mail Service, especially when expecting a letter or package. Tetriz is the LdM printing center located in Via dell’Alloro, 14r. It offers students a comprehensive printing service at competitive prices. For those required to obtain a student visa and/or a permit of stay, the Italian government mandates that all students have comprehensive international health insurance coverage for their time in Italy, and proof of said insurance while in Italy. In addition, LdM strongly recommends students obtain health insurance that includes medical evacuation and repatriation. At the Orientation Meeting students will receive information on English speaking general practitioners, Florence’s public hospitals and 24-hour pharmacies. For immediate care, students can visit the 24-hour emergency rooms at any of Florence’s public hospitals. All short or longterm LdM students are required to have a health insurance.